1948-1949 ish. Has anyone more information. See note below. Photo courtesy of Jean Mantle. when i started playing for the nags head len hobson was playing.anybody know how old he was? the manager was ken wiseall. (wiseall.correct spelling? )he worked at kiveton park colliery same time as me.he used tosend postcards about the team selection for the next game.he would never tell me at work. mick weston. hi neil, i know it is over 2years since the posts on this page. are you the neil who played for the nags head when i played all those years ago? The front row of the photo is correct. Unknown Mr Walton B WhiteheadUnknownShimwell E WaltonS Vernon L Gillott Unknown Mr Bristow Unknown Frank Clayton Unknown Sorry can’t remember the others although rememberthe faces. I started playing for the team the year after this photo. Back row: Unknown, E. Walton, Unknown, Bristow, Shimwell, Eric Walton, Sid Vernon, rest unknown. 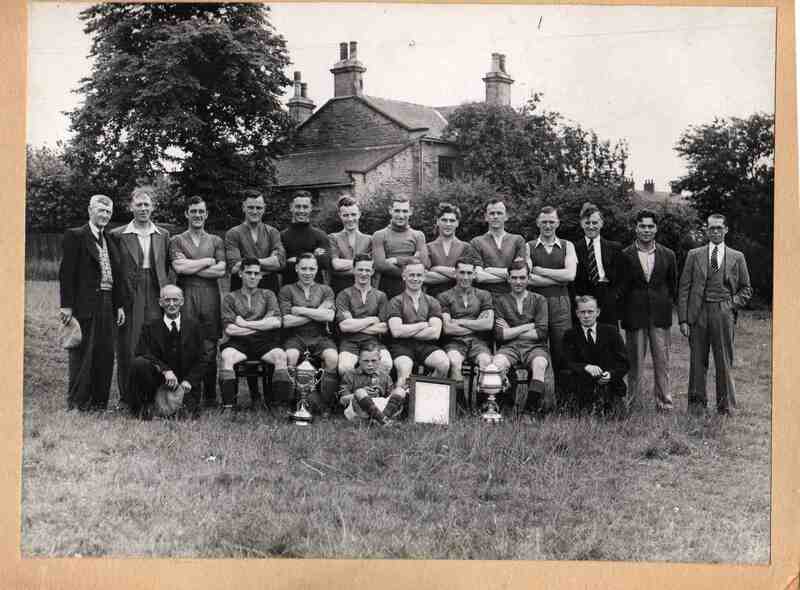 Front row: Mr Storey, B. Wheelhouse, Frank Riley, Ray Jones, Bill Pattison, Bill Burdett, Les Vernon, Stan Pattison. Can anyone fill in the gaps.